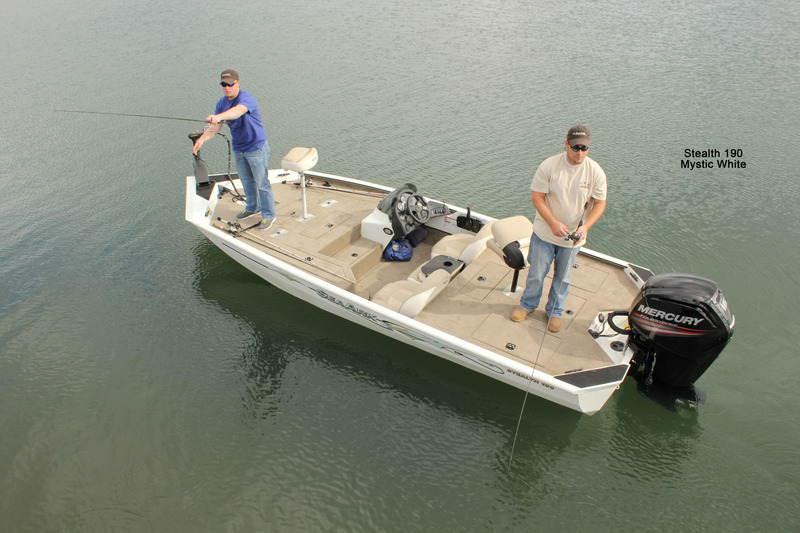 Our Stealth series offers all of the ammenities of a fiberglass bass boat, without the high price tag. The 15° V-Hull design of the Stealth rides better in "heavy chop" than the competitor's flat bottom or pad hull designs, with performance that is second to none. The Stealth's all-welded and heavy gauge all-aluminum hulls are among the toughest on the market today. Stealth's come with lots of storage, big casting decks, all-aluminum floors and decks. One thing that won't be found in the Stealth series is wood. Like all SeaArk models, the Stealth features an all aluminum design and construction.